Nevertheless, there is nothing to be sad about, because the promised motor from Ferrari here, after all, is - this is 3.8-liter V8 with a double turbo from engineers from Maranello, developing 590 hp. power and 730 Nm of torque. With such a fiery heart, a glamorous "Italian" is quite capable of competing with the "great and terrible" Porsche Cayenne Turbo. 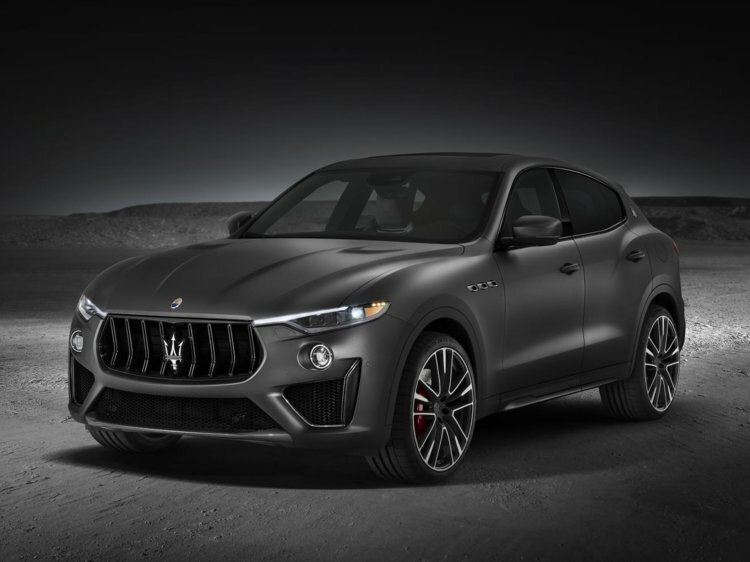 Acceleration to "hundreds" of this "Ferrari for the poor" takes only 3.9 seconds, and the maximum speed exceeds 300 km / h. It’s worth to match the new high-speed characteristics and appearance of the new Levante Trofeo. From the basic model, the car is distinguished by an even more aggressive design with a completely matrix LED head optics, a black grille and "greedy" air intakes, a tightened mesh. For better circulation of air under the hood (and to intimidate neighbors in the stream), it provides two ventilation zones, and for the notes of racing aesthetics, the accents from the carbon are scattered here and there on the body.